The Crans Montana Forum is back in Dakhla in Western Sahara. In its 5th edition, this year’s theme is building a modern Africa dedicated to its youth. The event put the spotlight on African youth who represent 77% of the continent’s population. It has drawn more than 1,200 participants, including several high-level figures from over a hundred countries. “We wish to orient our programme around celebrating African youth. That means young people -who within civil society fields - are the best examples of this African achievement. Africa has successfully taken destiny into its own hands,” said crans Montana Forum president Pierre Emmanuel Quirin. Nearly 25% of women from African countries (including Morocco) are entrepreneurs. They have excelled at business creation. A panel at the forum was dedicated to the advancement of women in Africa. It was co-presented by the president of the Phosboucraa Foundation – Hajbouha Zoubeir. "Our Foundation manages two learning centres, they are dedicated to young people and women who want to develop and grow their entrepreneurial abilities, but also help in finding jobs by creating opportunities. Former attendees of the centres have now built their own businesses in the service industry, but also cosmetics and agriculture," Zoubeir told Euronews. The Foundation helps young people and women to become economic actors in Morocco and also throughout Africa. Zoubeir sees the organization’s work as an investment: "60 per cent of our beneficiaries are women and we consider investing in women and young people as investing in the future." The Foundation's Scholarships for Excellence offer educational experience but also opportunities: "we have 157 beneficiaries who got a scholarship of excellence, 75 per cent of them went to international high schools and universities and some of them became doctors today, and others became entrepreneurs participating in the daily life in the Moroccan regions." The second major theme of the forum is digital transformation. In Africa that concerns several sectors: hotels, tourism, insurance, finance, health and agriculture. Diane Audrey Ngako from Cameroon is the founder of the communications agency Omenkart. Its known for promoting the Visit Africa platform that launched in 2014. According to Diane, the continent has become a model for mobile applications and a treasure trove for digital storytelling. 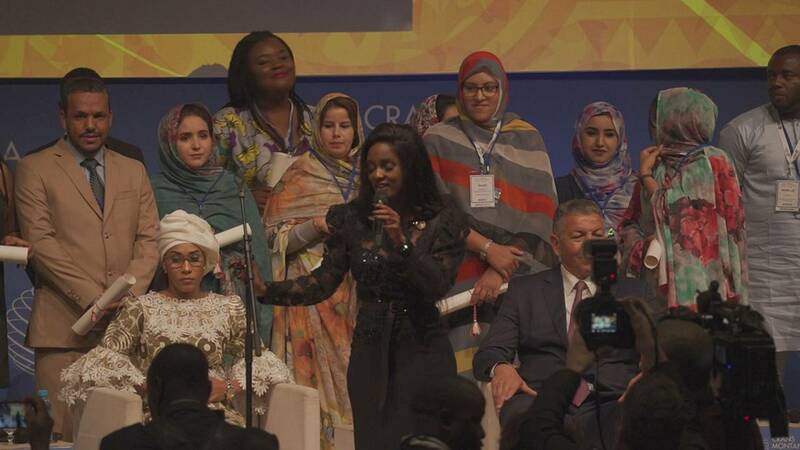 In the closing ceremony, around 60 young Africans, including Diane, received awards from the Crans Montana Forum for New Leaders of the Future for career successes in their fields. But these are distinctions that show no signs of slowing as the continent promises a bright future ahead for entrepreneurs.